For many decades, researchers have tried to confirm the existence of King Arthur of Camelot, the legendary ruler that was said to have led the defense of Britain against the Saxons in the 5th century AD, and to find his final resting place. After years of speculations, the British researcher and writer Graham Philips believes he is closer than ever before. 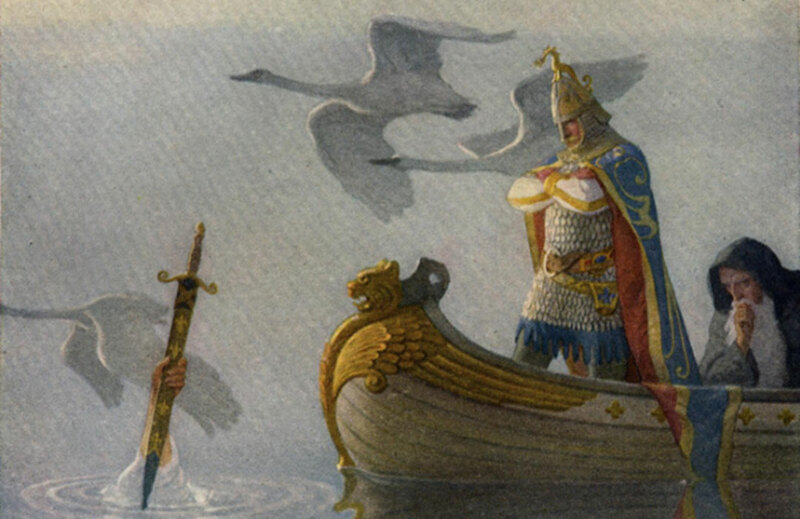 According to the legend, King Arthur, after the battle with his enemy Mordred, was transported to the Isle of Avalon. 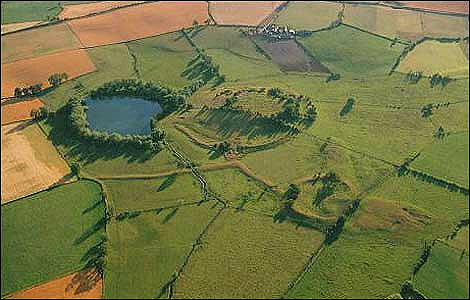 Now, new research suggests that location may lie in a field in Shropshire, England. Graham Phillips has been researching the life of King Arthur for many years. According to the Daily Mail , Phillips believes he has discovered evidence confirming that the medieval ruler was buried outside the village of Baschurch in Shropshire. In his latest book The Lost Tomb of King Arthur , he suggests that the most probable location of the tomb is outside the village in the old fort, dubbed ''The Berth'' or at the site of the former chapel. Phillips is calling on English Heritage for permission to start archeological works at The Berth, and in the former chapel nearby the Baschurch village. Phillips has already located a pit containing a large piece of metal, which Phillips believes may be remnants of King Arthur’s shield. According to Phillip’s previous book, King Arthur lived in the Roman fortress at Wroxeter, a small village in Shropshire. Historical texts state that Arthur was born at Tintagel Castle in Cornwall, and later became a famous character of many legends, related to for example his sword – the Excalibur. However, Phillips believes that a lot of the legends about Arthur are wrong, including his place of birth, which Phillips says was Shropshire, and not South West England. Apart from the sites nearby the Baschurch, Phillips claims that King Arthur could also be buried in a country lane in Birch Grove village . In the 1930s, archeologists discovered part of a gravestone there with the inscription in Latin ''Here Lies…''. At the same time as Phillips is searching for the grave of Arthur, archeologist Dr Richard Brunning, from South West Heritage, started excavations at Beckery Chapel , near Glastonbury in Somerset. The aim of the work is to accurately date an early Christian chapel. It is hoped that the investigations may shed new light on King Arthur, who is said to have visited this place, and according to the legend had a vision of Mary Magdalene and the baby Jesus there. It is the first time since 1968 that archeologists have investigated the site. Moreover, the place is also famous as a part of the stories related to the Irish saint Bridget, who visited the site in 488 AD. Previous works suggested that before the chapel, a Saxon mastery had been present on the site. The most recent works will allow the precise dating of the monastic cemetery. The history of King Arthur is also connected with Glastonbury Abbey, which has been believed to be a place of burial of King Arthur and his wife Guinevere since the 12 th century. According to an article by Jason Urbanus and archeologist Roberta Gilchrist, who head up the Glastonbury Archaeological Archive Project , the site may indeed date back to the 5th century, the time of King Arthur, but they say there is no evidence of any connection with the king. Moreover, Urbanus explained in Archaeology magazine that the burial actually belongs to 12 th century monks. It seems that the legend about the burial of Arthur being at Glastonbury Abbey was created by monks of the Abbey who needed an attraction to raise money. In 1976, after a chance meeting with historical researcher, Anthony Thomas 'Baram' Blackett, at the public library in Newcastle upon Tyne, the two men decided to put up many thousands of pounds of their own money to fund full-time research into the origins of King Arthur. The Arthurian stories, so popular today, came out of South-Eastern Wales into France, via the Normans, in the 12th century and this encouraged them to start their search in the same place. The search soon moved beyond Wales to include the English Midlands which had been dominated by the old Welsh Kingdoms for centuries. To date, Wilson and Blackett have published seven books that provide information based upon Old Welsh records that date to the 12th Century. They believe that these provide a final solution to the King Arthur story and have clearly identified the true sites of the battles of Badon (Mynydd Baedan) and Camlann. In 1983, Wilson and Blackett discovered what they believe to be King Arthur's memorial stone at the small ruined church of St Peter-super-Montem on Mynydd-y-Gaer in Mid-Glamorgan, which they subsequently purchased. The stone was offered to the National Museum of Wales (Amguedda Werin Cymru) for analysis, but the offer was not taken up. Subsequently it went on public display in various venues for some time. Following this, they employed the services of two archaeologists, (Professor Eric Talbot and Alan Wishart) in 1990, to lead a dig at the same place. During the excavations, which were authorised by the Royal Commission on the Ancient and Historical Monuments of Wales, several artefacts were discovered including an ancient axe, a knife and a small cross weighing two and a half pounds, that reads "Pro Anima Artorius" ("For The Soul Of Arthur"). The cross was subsequently tested by an independent metallurgical house, Bodycote PLC, and found to be made of electrum, and so certified. The cross was offered up to the National Museum of Wales for public testing, but this also was declined.Wilson and Blackett had already identified the church as an ancient historical site possibly originally dating from the first century A.D. Other major Welsh kings are buried locally.